It's hard to believe that we're already in 2018! Today's post is all about goals. With the New Year already upon us, it seems like everyone is setting goals and intentions for the upcoming year. 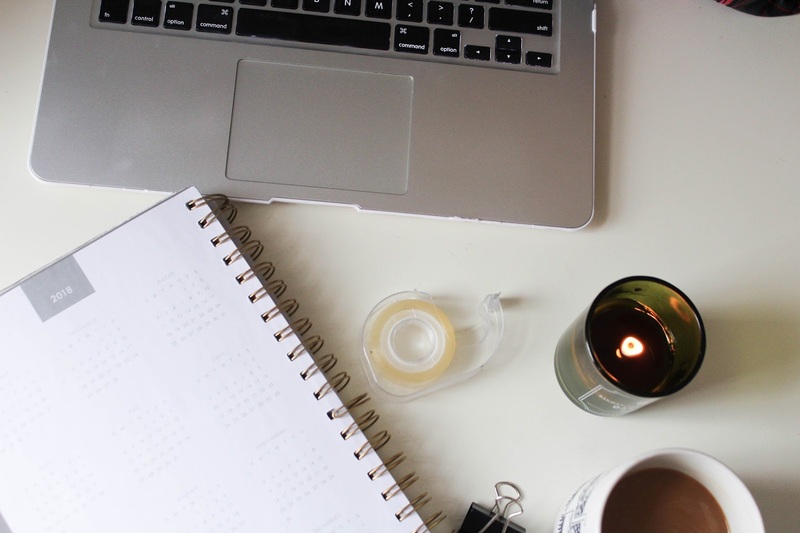 I think setting goals is so important for staying productive and on track. 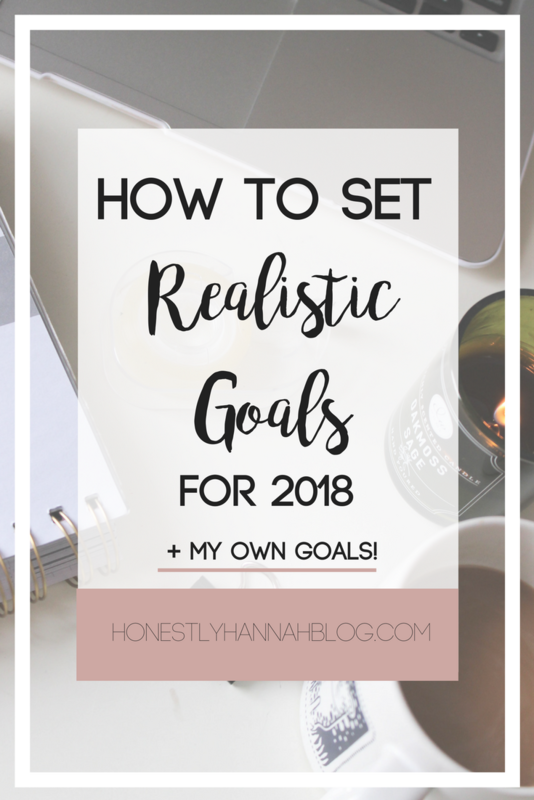 I wanted to share some tips for setting realistic goals that you can actually achieve as well as share some of my own personal goals. 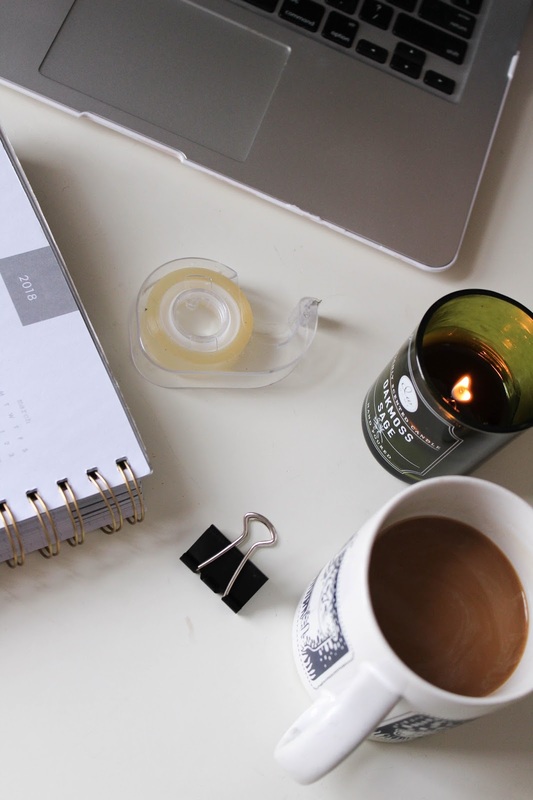 Here's how you can make 2018 the best year yet by setting some attainable goals! 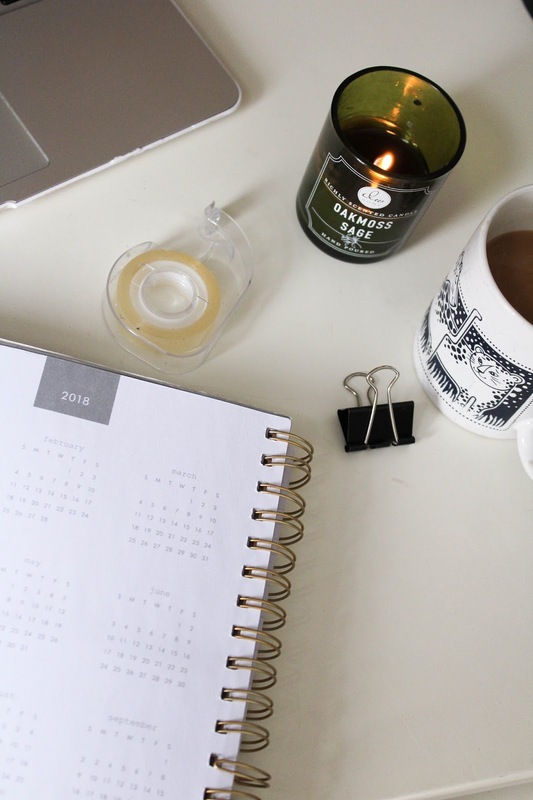 So many people seem to think of a few fluid goals in their head at the beginning of the New Year, but these goals are quickly forgotten as February approaches. One of the best things you can do to ensure that you are setting yourself up to actually achieve your goals is to write them down. Some of us have big goals; goals that cannot simply be achieved overnight. It can be discouraging when you have a goal but feel like you aren't making any progress getting there. A great way to avoid this is to create smaller milestones within your larger goals so that you can see your progress. It's uplifting to see yourself completing steps towards achieving a goal! When you set a goal, it's important to draw up a plan on how you're going to get there. For example, if you have the goal of having a job lined up upon college graduation (one of my own goals! ), you have to come up with a plan to get there. How will you ensure that you're qualified for a position? How can you convince a company that they should hire you over someone else? Consider these things when creating your goals so you can come up with the best strategy to achieve those goals. Overwhelming yourself with goals is no way to live. When you have so many goals in your mind, it's hard to focus on any of them at all. Select a few goals that you feel are possible to achieve in the near future. You can always set more goals later. It's important to be excited about your goals. If you aren't excited, why would you even want to achieve them? Don't set goals that you think your parents would want for you, or your friends, etc. Set goals that you want for you. The ultimate goal is to be proud of yourself and create a life that you love. Goal setting allows you to always be working towards something and allows you to track your progress. This has been a goal of my throughout college. I have been able to find great summer internships the past 2 years and I'm excited for my final summer as a college student. I would love to get an internship this summer that could potentially lead to great career opportunities! Okay, isn't this everyone's goal? The New Year rolls around and everyone and their mother is trying to get healthy again. For me, I just want to feel healthier. I want to nourish my body in ways that I feel like I haven't before. I'm taking small steps to achieve this goal. For example, I've been sipping lemon water all day every day and drinking green tea multiple times a day. I've also made it a goal to exercise 3 times a week. Not too crazy right? I would say I've always been a bit of positive thinker, but I really want to devote this year to not dwelling on the negative, particularly the things that I cannot control. I've always been an anxious person, and I've found that my anxiety sometimes leads to unnecessary negative thoughts. I'm a huge planner (I mean you guys know), which isn't a bad thing, but sometimes it makes it harder for me when things do not go as planned. I know there's a lot of unexpected turns in life, and while I'll always continue to plan like a crazy person, I am learning to be okay with changes in my plans. What are some of your goals for 2018? Do you have any tips for setting killer, achievable goals? Setting goals that you're excited about is such fab advice. I'm such a people pleaser and often there are a few goals on my list that aren't really for me, and while I get there are some things that are nice to achieve for your parents and grandparents, what's the point of life if you're not living it for yourself?! 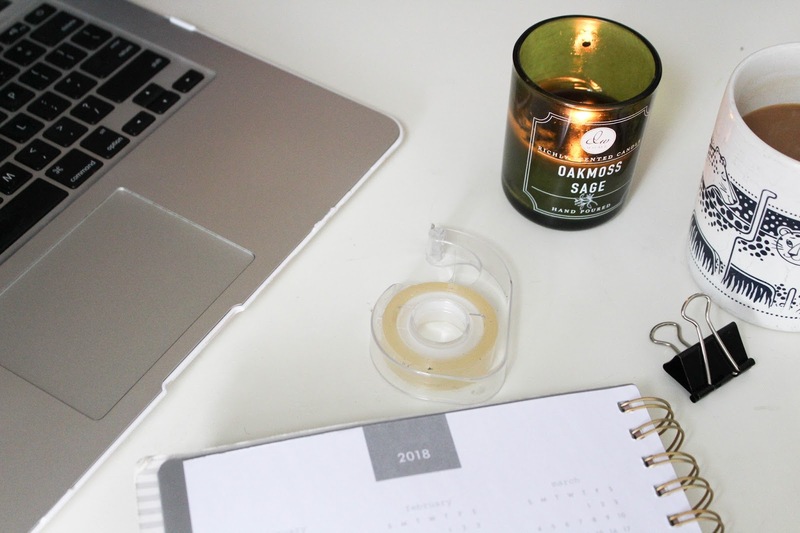 Really enjoyed this post - wishing you the best of luck with getting your internship! I also need to stop being such a planner and live a little more in the moment!